Give your dog a bone you can trust. 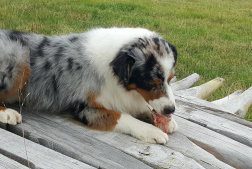 Our Marrow Bones are packed with high quality nutrients. They provide your dog with oral health benefits and mental stimulation.